Boat stands, also referred to as jack stands or poppets, are essential for the safe storage and winterizing of any boat. 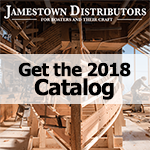 Our Boat Stands and Blocks section features stands for both sail and power vessels with various tops and weight ratings to accommodate just about any boater's needs. This section also includes blocks and other products necessary to properly store a boat on land for an extended period of time.